Are you interested in purchasing or leasing a new or pre-owned Jaguar vehicle? We invite you to visit us at Jaguar Englewood. Jaguar enjoys an outstanding heritage of high-quality, exciting vehicles famous for their style, power and superior handling. Jaguar is a connoisseur’s choice, for those who love to drive powerful, exciting vehicles with styling that leave other makes in the dust. Our professional and friendly sales associates are happy to convey their knowledge and love of Jaguar vehicles. We know your expectations are high, and we are determined to meet them in every way. Check our large inventory online or in person, schedule a test drive, and consider the various lease/financing deals we offer. 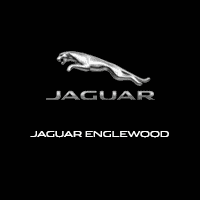 Visit Jaguar Englewood today at 30 Van Nostrand Ave, Englewood, NJ 07631 for all of your Jaguar needs!